A few weeks ago, it was revealed that Mark Wahlberg made $1.5 million for reshoots on All The Money In The World while Michelle Williams got per diem. His initial salary for the film was $5 million and she was paid $650K. Eventually he and WME, the talent agency that represents both Mark and Michelle, donated his reshoot fee to Time’s Up. Mark was interviewed recently by ET and spoke about the situation for the first time, calling it “awkward”. Click here to see the video (it auto-plays sound so heads-up if you're at work). "It's not me who decides who gets paid what. Your value's based on what the marketplace dictates, and with that particular situation, it was very awkward." He’s not wrong about the marketplace. It’s always been a men-first marketplace. This is the sexism. Since sexism is what’s been established as the status quo, of course the marketplace is going to dictate that men, white men, are prioritised while women and people of colour are not paid – and treated – equally. This is exactly what Time’s Up and the push for equality, in all industries, is confronting: the marketplace, a marketplace that is the result of a status quo that advantages, time and again, people like Mark Wahlberg. He talks about the marketplace like he has nothing to do with it. When, really, he has everything to do with it. Or he could. Marky Mark started out in the Funky Bunch and became a Hollywood mogul. He produces all kinds of lucrative projects. Mark Wahlberg is well-positioned to confront the inequities in the marketplace to change who it benefits and how. Casually talking about the marketplace like it’s not up to him is at best ignorant and at worst disingenuous. Because for Time’s Up to work, everyone has to participate. It’s not enough to put on a Time’s Up pin. The whole point of the initiative is to support projects and talent that have not had the same opportunities. And I’m not sure that making a donation after a public outcry counts. 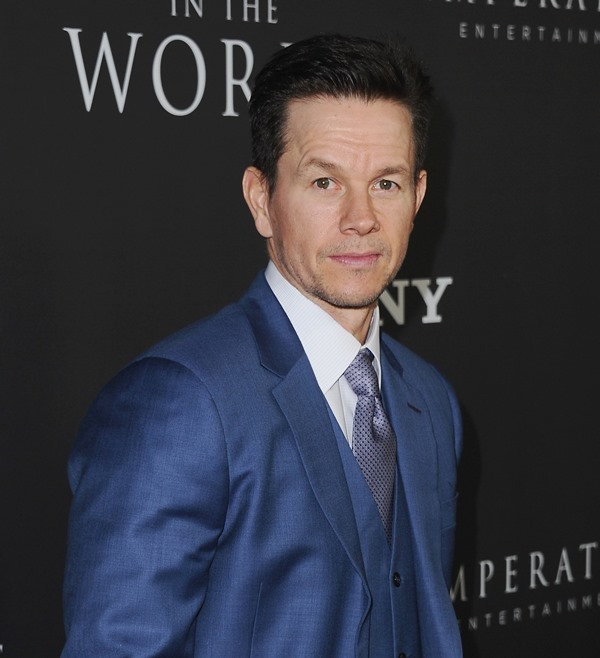 When you think of a “Mark Wahlberg project”, what do those stories look like? How many women are in those stories? What is the diversity in front of and behind the camera? Two years ago Ryan Murphy pledged that, going forward, his aim for all his projects is to see inclusion across the board. One year after the announcement, “Ryan Murphy's Half Foundation has succeeded in its plans to see, as its title would suggest, more than half of the prolific showrunner's TV programming be directed by women. Ahead of its time in front of reporters Wednesday at the Television Critics Association's summer press tour, FX unveiled a look at the strides that the Half Foundation has made in its first year. Of Murphy's slate, 60 percent of shows have women directors and 94 percent meet the minority requirement”. Five years from now, are we going to be talking about Mark Wahlberg like we talk about Ryan Murphy? What Ryan Murphy has been doing WILL change the marketplace. Because it increases the value of a different set of stories told by a new class of storytellers. The marketplace is flawed. Shrugging at it, like it’s a fixed entity, the way Mark Wahlberg did, doesn’t change sh-t.